Cost reduction, scalability, and accessibility have made cloud adoption grow enormously in the last five years. Businesses are increasingly opting for SaaS options when purchasing applications and adopting this technology. However, cloud computing’s rise to prominence didn’t occur overnight. It is part of a steady rise in market share, and we have witnessed gradual technological improvements since its first initial mainstream appearances. The gradual growth of this technology has resulted in specific security risks during transition periods that often worry businesses that want to switch. Despite the unfounded security concerns about cloud computing, some aspects of this technology can allow the compartmentalization of elements in order to alleviate security issues during transition periods. When one analyzes computer espionage and data theft tactics used today, it is immediately obvious that better segregation is the key to ensuring that any breach is not catastrophic. It is particularly important to mark clear separations between data, applications, and the client’s network. SaaS services have the distinct advantage of segregating the client from full network access. A good way to understand this is by looking at online banking. Banks will never let their customers access the bank’s internal business network when the customer accesses online banking applications. In the worst of cases, only the account of that one particular customer is at risk. In the same way, SaaS can also provide protection from attacks by preventing them from accessing corporate networks and non-client content. Many malware tactics involve lateral movement and privilege escalation, meaning that they will take advantage of a single exposed client to move from there to the corporate network. A cloud environment can effectively prevent malware from carrying out second and third stages of their attacks (the first stage being the initial infection of the client.) Despite malware developers’ best efforts, systems based on SaaS will segregate the malware on the client’s side, preventing it from gaining access to other computer systems on the network. SaaS can also protect data from social engineering attacks. This is because social engineering tactics targeting a specific set of employees or department at a specific company will not have an effect on the personnel of the cloud services provider. In fact, a well-deployed software architecture can prevent data theft by segregating the specific parts of the chain that have access to the data. Apart from this, there are indirect methods in which SaaS and cloud computing can provide improvements to a company’s data security. For example, cloud services can allow a company to hire larger teams of computer security specialists due to the cost effective nature of this technology. Cloud technology’s unique resilience and redundancy also apply to security processes and help protect data in ways that traditional computing does not. One example is when you look at GMO Cloud’s Security strategy where they secure all aspects of the business from physical to operations, and of course, systems. Curiously, security concerns are especially unfounded in the Asia Pacific market where the conditions for optimal implementation of cloud computing services already exists. Fortunately, there exist cloud service architectures that can provide businesses with improved security. This has been demonstrated for years with security services and anti-spam providers for cloud-based email, as well as proxy services also using cloud technology to filter online activity. Perhaps the one tangible security benefit of cloud computing in the future will be that it will allow companies to migrate away from traditional corporate networks, already saturated with security problems that criminals have become quite adept at exploiting. 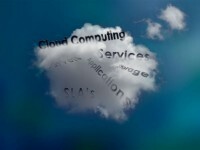 There is no shortage of information out there about cloud computing. But the more information, the more possibility there is for confusion over what benefits a business might accrue from cloud infrastructure. Many enterprises are not ready to accept this strategy as a magic wand, while some others are far quicker to jump into the fray. Migrating to any new technology is always fraught with dangers. Here are some points to consider when engaging a new cloud service provider. Many mature industries, such as traditional brick and mortar businesses, are unlikely to reap big benefits from migrating to a cloud environment. Not everyone is a Netflex-type company that can exploit the inherent capabilities of the cloud. If a business already has a stable, consistent online presence, it may be better to continue with the existing arrangement. Flexibility and seamless expandability, which are among the main benefits of a cloud service, may not required be here. Does your cloud provider offer flexible services? This point is crucial to your decision making process. Software, systems and processes are dynamic and change quickly in response to business stimuli. You may be currently working on a Microsoft platform, but this does not mean that you will never migrate to an open source operating system in future. It’s always a good practice to choose a vendor that offers all popular platforms as part of its repertoire. Medium and large enterprises may already be working on different platforms and this would force them to opt for a multi-platform vendor. On paper, SLA’s (or service level agreements) may look impressive, but in reality they could be totally inadequate. You must look at the fine print of a SLA, especially terms which define downtime. It is advisable to discuss specific SLAs with the cloud service provider before signing on the dotted line. You must sort out all prickly conditions as a rule. There are issues of compliance, governance and statutory requirements to which businesses need to adhere. You must make sure that the cloud vendor clearly defines every aspect of security and the measures they have put in place to deter and avoid theft and compromise of data. You must look beyond physical security in determining the capability of your cloud vendor. A comprehensive list of factors to look at, from a security point of view, can be found here. One of the reasons why enterprises go for cloud technology is the level of automation in services. Automatic scaling of resources or server instances, load balancing, auto configuration and network management are some services which are must-have for any cloud environment. The front end tools are a crucial factor which will ultimately determine how smooth your online operations go. Selecting a cloud vendor can be confusing. You must be clear about your own requirements before approaching a cloud service provider. The above factors must never be compromised while selecting a vendor. One of the main reasons why many companies and governments are hesitant with cloud adoption is a lack of understanding about the technology. Rapid advances made in the field mean that what is true one day may no longer be true only a few months down the line. As a result IT decision makers often have an outdated view of cloud computing, not quite understanding how this technology can contribute to meet their goals. Concerns about losing control of data and security are usually the top two concerns cited by IT decision makers. However, an in-depth look at these concerns reveals that it is usually a lack of understanding of cloud services and their providers that leads IT decision makers to delay adoption of cloud services, or to avoid them altogether. While the majority of businesses in the Asia Pacific are planning on increasing their use of the cloud in their operations, at least a third of IT decision makers delay for an average of a year before moving to the cloud. What are IT decision makers worried about when they look at cloud technology? These concerns all have one thing in common. They show that the problem is not with cloud technology itself, but rather a lack of understanding among IT professionals about how cloud computing works and what it can provide. What can cloud service providers do to alleviate concerns and educate their potential clients? Since this lack of understanding is such an important issue, it places a burden on cloud service providers to make it clear to their potential clients exactly how services work and benefit their company. Now, there is no question that cloud computing is secure, reliable, and relatively simple to implement, especially in comparison to traditional IT and corporate networks. However, today most IT decision makers continue to cite security and implementation as specific concerns. Of course, moving to a new IT infrastructure results in natural data security concerns. However, the high percentage of clients who still believe that cloud computing is riskier than traditional IT means that many cloud service providers are not advertising their services correctly or doing enough to educate IT decision makers. The conservatism among IT decision makers, particularly in countries like Japan where corporations tend to move in blocks rather than as individuals, often means that many companies are not taking full advantage of what this technology can provide. These concerns also have an indirect effect on cloud services providers, having them concentrate more on downplaying nonexistent security risks than on actually explaining what this technology can do. Today the cloud services vendor has a very important role, giving organizations assurance with well-crafted service agreements that can assuage concerns. In fact, cloud computing technology has advanced to the point where many of its prior flaws no longer exist. However today, it is necessary for vendors to accurately communicate these advancements to their clients. These agreements are taken very seriously (take for instance, GMO Cloud’s Terms of Service). What can cloud service vendors do to help IT decision makers adopt cloud technology more readily? 1. Cloud services providers need to increase their educational campaigns. 2. They also need to do more to create service level agreements that are more in line with what customers want. 3. Finally, cloud service providers need to supply more flexibility and prevent issues such as vendor lock-in and other concerns that may turn off companies from adopting this technology. 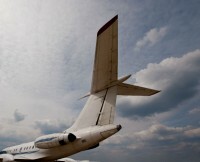 Cloud computing is not a new concept to the aviation industry. With online bookings, real time flight reservations, and travel management solutions, the aviation industry was one of the first to jump to the cloud. Like most other industries, the aviation sector found three important factors that can impact business performance and success: scalability, pooled resources, and business agility. The aviation industry can be a volatile business, and so scalability matters a lot. You never know when traffic will fluctuate, and certain factors cannot be predicted. There are sudden events or crises like ash clouds, bird flu, and cyclones — and in such cases people typically start calling the customer center to find out if there have been changes that affect service. In a traditional setup, it is not easy to quickly set up a new call center. But with cloud computing, airline companies can rapidly create a new call center to attend to a surge in customer calls. By scaling up resources as required, companies can provide better customer service, boost service levels, and optimize infrastructure costs at the same time. In a traditional organizational setup, information silos impact business performance. Employees have to organize disparate data collected from various departments. The airline industry requires an intuitive organizational setup because booking offices and travel agents are not in the same location. With a cloud-based service, silos are effectively eliminated. Organizations can integrate business processes to provide higher customer service at improved service levels. Cloud-based services enable airline companies to work with world-class technologies. In this industry, intuitive and highly efficient business applications are required. Before cloud computing came along, companies had to invest huge amounts on in-house projects. But now they can enjoy highly efficient, cutting-edge software that is available at cost-effective prices. With business processes working at a smooth pace, companies can leverage resources while making use of the best available technology. Updates and software patches are taken care of. The aviation industry is presently experiencing a huge economic crisis. With heated competition, increasing taxes, and rising fuel costs, airline companies are looking for ways to minimize expenses. Cloud-based services provide an optimized infrastructure that integrates business processes to reduce infrastructure expenses. At the same time, scaling resources enables companies to reduce their costs by paying only for services used. While rapid scalability and agility are achieved, data security is a high priority. Automatic backups and disaster recovery solutions take care of data integrity and security. Cloud-based computing offers a win-win situation. Fleet managers are able to predict traffic loads and plan accordingly. OEMs can assess the end-user experience to improve quality, and airline operators can concentrate on providing highly efficient services. At the same time, customers continue to receive quality services which make their travel experience enjoyable. With high-end computing resources, innovative applications, and enhanced security, cloud computing will be a mainstay in the future of the aviation industry. Companies that ignore this fact will be left behind. Embracing the cloud at the earliest opportunity is, of course, a wise decision for aviation companies. There are numerous myths surrounding cloud computing. Some have become an impediment to implementation, and many others just confused the matter altogether. It is imperative to know what these myths are and why they are restricting the use of cloud computing, so let’s take a moment to try to clear the air a little. This is perhaps the biggest myth of all. Most small businesses and entrepreneurs think that cloud infrastructure is only for the big fish, and subsequently they do not consider it an option. But the facts are different. According to a report from Forbes, only 19% of enterprises have adopted the cloud extensively, while 41% of small and medium businesses are using the cloud heavily. Even if we assume a 10% margin of error, SMBs are far more enthusiastic about new technology. The implications are obvious. The benefits of cloud computing are spread over a large spectrum of businesses. Small players and entrepreneurs should think of cloud technology as an enabler, and not merely a tool for the rich and large enterprises. This is not surprising. We have always known that large business entities are slow in adopting new technology due to managerial inertia. As a result, they are more likely to experiment with various cloud options. For large enterprises using hybrid strategy, 61% use the public cloud for running their applications, 38% in private, and 29% hybrid clouds. The above figures indicate that enterprises which are absorbing the experience of cloud technology are likely to move towards a multi-cloud strategy in future. For such organizations, the initial choice to move to the cloud — whether, private, public or hybrid — will likely mean they will settle on a new formation over time. Beginning with small steps has always been the norm with most businesses. Surveys show that the deployment of cloud services increases with time and experience. Enterprises which are cloud focused have migrated many of their applications to the cloud. The top three functions which are running in the cloud are development, testing and web centric applications. It has also been reported that businesses which adopt cloud services extensively are also likely to benefit more from them. Quick deployment of infrastructure, speedier time to market and high scalability are all common benefits cited by enterprises. Migrating from traditional infrastructure to the cloud has been made to look like an easy task. However there are many challenges. Issues of security and compliance are major factors to be considered by enterprises. Governance and control have to be remodeled to address the new cloud environment. A big challenge is the integration of existing internal systems. This can be a difficult issue to manage, and employees are likely to show resistance to change. Staff training is therefore essential to successfully migrate to a cloud environment. The lack of specific expertise in handling cloud properties can be a handicap. Only experience and time can resolve such issues. We have to first overcome the myths surrounding cloud services before we can successfully implement these technologies.